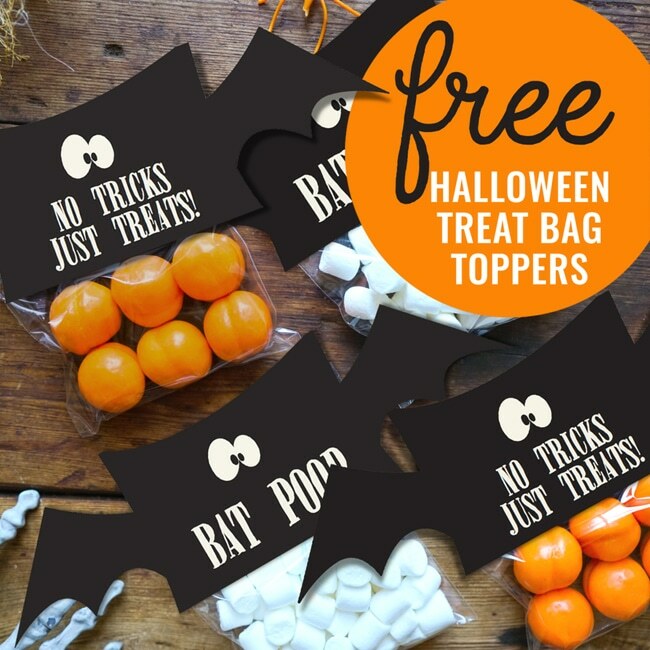 Our friends over at Sunshine Parties are giving readers these Free Halloween Treat Bag Toppers! I was just wondering how YOUR Halloween Preparation is going? And, while I was wondering, I thought I would give away this awesome Halloween Treat Bag Topper. It’s super cute, with googly cross eyes and bat wings. PLUS, you can edit the ‘No Tricks, Just Treats’ or ‘Bat Poop’ sections you see in the photo with your own message if you want to! You could say anything you like, like maybe ‘Love from the Johnson Family’ or something that is relevant to the candy you are using in your candy bag. And just to make it easy on yourself, watch a quick 4 minute video, which will make you a step-by-step pro in just 4 minutes! It’s on www.sunshineparties.com in the FAQ section. Just visit www.sunshineparties.com for your Free Halloween Treat Bag Toppers! Happiest of Halloween’s to you!